Welcome to Tiverton School Department! The Tiverton School Department has a total school population of 1835 students who are supported by a professional staff of 182 teachers and 86 non-certified support staff. The district is comprised of three elementary schools grades K-4, one middle school grades 5-8, and one high school grades 9-12. 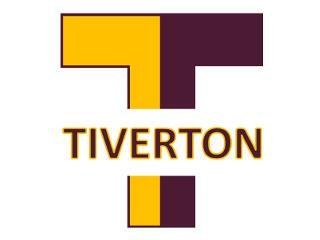 Tiverton High School is currently accredited by the N.E.A.S.C. (New England Association of Schools and Colleges). The high school received its accreditation in 2014. The Tiverton School Department is committed to standards-based instruction and performance in a K-12 continuum. High academic and behavioral expectations for student performance are supported by a rigorous curriculum that is aligned to both state and national standards. Administrators and teachers are continually striving to build and improve our learning community by increasing parent, student, and community participation in an effort to sustain high standards for both our faculty and students. Our goal is to provide every student the opportunity to excel and meet high standards in all of their classes at every grade level.